Recent and forthcoming concerto highlights include engagements with the Boston and Chicago Symphony Orchestras, The Philadelphia Orchestra, New York Philharmonic, Finnish Radio Symphony Orchestra, Gürzenich-Orchestra Cologne, Hallé Orchestra, Orchestre National de Lyon, Orquesta Nacional de España, Filarmonica della Scala, London Philharmonic Orchestra, and the London, Melbourne, San Francisco, and Washington National Symphony Orchestras. Benjamin works with such esteemed conductors as Vladimir Ashkenazy, Andrey Boreyko, Semyon Bychkov, Riccardo Chailly, Sir Mark Elder, Edward Gardner, Alan Gilbert, Manfred Honeck, Vladimir Jurowski, Emmanuel Krivine, Andrew Manze, Ludovic Morlot, Kent Nagano, Sir Roger Norrington, Gianandrea Noseda, François-Xavier Roth, Esa-Pekka Salonen, Leonard Slatkin, Nathalie Stutzmann, Michael Tilson Thomas, Krzysztof Urbański, and with Kazuki Yamada. Among Benjamin’s major recital dates in the 2018/19 season are London’s Barbican Hall, Théâtre des Champs Elysées Paris, Madrid’s Ciclo Grandes Intérpretes, San Francisco Performances, Sydney Symphony Orchestra’s recital series, Munich’s Herkulessaal, Milan’s Societá dei Concerti and Palau de la Música Catalana Barcelona. Also a keen chamber musician, he joins Tabea Zimmermann and others for a performance of Schubert’s Trout Quintet at Bonn’s Beethovenwoche 2019, and together with the Doric String Quartet performs piano quintets by Fauré and Dvořák as well as chamber settings of Chopin’s Piano Concertos as part of his concert series at London’s Barbican in 2019. 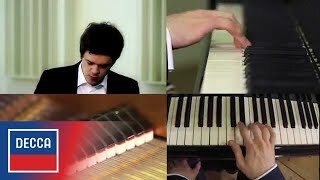 British pianist Benjamin Grosvenor is internationally recognized for his electrifying performances and insightful interpretations. His virtuosic command over the most strenuous technical complexities underpins the remarkable depth and understanding of his musicianship. 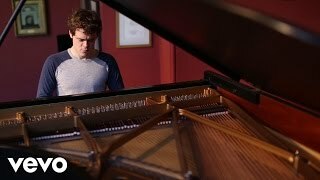 Benjamin is renowned for his distinctive sound, described as ‘poetic and gently ironic, brilliant yet clear-minded, intelligent but not without humour, all translated through a beautifully clear and singing touch’ (The Independent) making him one of the most sought-after young pianists in the world. 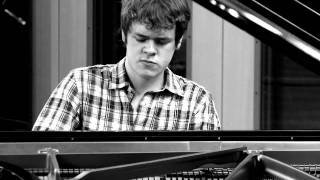 Benjamin first came to prominence as the outstanding winner of the Keyboard Final of the 2004 BBC Young Musician Competition at the age of eleven. Since then, he has become an internationally regarded pianist performing with orchestras including the London Philharmonic, RAI Torino, New York Philharmonic, Philharmonia Orchestra, Leipzig Gewandhausorchester, Tokyo Symphony, and in venues such as the Royal Festival Hall, Barbican Centre, Singapore’s Victoria Hall, The Frick Collection and Carnegie Hall. Benjamin has worked with numerous esteemed conductors including Vladimir Ashkenazy, Jiří Bělohlávek, Semyon Bychkov, Andrey Boreyko, Sir Mark Elder, Alan Gilbert, Vladimir Jurowski, Andrew Litton, Andrew Manze, Ludovic Morlot, Kent Nagano, Alexander Shelley, Thomas Søndergård, Jac van Steen, John Storgards, Gabor Takacs-Nagy, Michael Tilson Thomas and François-Xavier Roth. At just nineteen, Benjamin performed with the BBC Symphony Orchestra at the First Night of the 2011 BBC Proms. Following re-invitations in 2012 for a performance with the Royal Philharmonic Orchestra and Charles Dutoit and in 2014 for a recital and Chopin’s Piano Concerto No. 1 with the BBC Philharmonic and Gianandrea Noseda Benjamin appeared in 2015 at the Last Night of the Proms performing Shostakovich’s Piano Concerto No. 2 with the BBC Symphony Orchestra and Marin Alsop. Benjamin enjoys incorporating chamber music collaborations into his schedule, including performances with the Escher, Elias and Endellion String Quartets, chamber ensembles of the Orchestre Symphonique de Montreal and the Naples Philharmonic, and at venues such as Paris’ Musée du Louvre and London’s Queen Elizabeth Hall. Since the 2015-16 season Benjamin has been invited to participate in the prestigious “Junge Wilde” series by Konzerthaus Dortmund, where over the course of three years he will perform on a number of occasions. 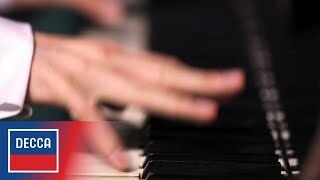 In 2011 Benjamin signed to Decca Classics, and in doing so has become the youngest British musician ever to sign to the label, and the first British pianist to sign to the label in almost 60 years. Benjamin’s 2014 release Dances, a recital album that presents a historically and stylistically varied offering of works influenced by dance, has been described as ‘breathtaking’ (The Guardian), offering “performance after performance of surpassing brilliance and character” (Gramophone Magazine) and won the BBC Music Magazine Instrumental Award 2015. Autumn 2016 sees the release of Benjamin’s third recital disc for Decca, Homages. During his sensational career to date, Benjamin has received Gramophone’s ‘Young Artist of the Year and ‘Instrumental Award’, a Classic Brits ‘Critics’ Award’, UK ‘Critics’ Circle Award’ for Exceptional Young Talent and a Diapason d’Or ‘Jeune Talent’ Award. In October 2016, he became the inaugural recipient of the Ronnie and Lawrence Ackman Classical Piano Prize at the New York Philharmonic comprising, among others, a subscription concert with the NY Phil in April 2018. He has been featured in two BBC television documentaries, BBC Breakfast and The Andrew Marr Show, as well as in CNN’s Human to Hero series. The youngest of five brothers, Benjamin began playing the piano aged 6. He studied at the Royal Academy of Music with Christopher Elton and Daniel-Ben Pienaar, where he graduated in 2012 with the ‘Queen’s Commendation for Excellence’ and in 2016 was made a Fellow. Benjamin has been supported since 2013 by EFG International, the widely respected global private banking group. Benjamin was awarded the first Ronnie and Lawrence Ackman Classical Piano Prize at the New York Philharmonic. This includes an invitation with the New York Phil in April 2018 and chamber music with Philharmonic musicians.